This Batman pocket knife twin blade batarang features two blades. 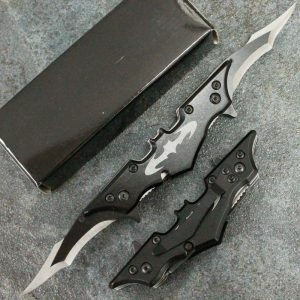 Each blade can be opened independently so the knife can be used as a single blade knife as well as a dual blade knife. The handle is in the shape of the batman logo, and the logo itself is stamped on the handle. Comes with a belt clip for easy portability. A must have for any batman fan. 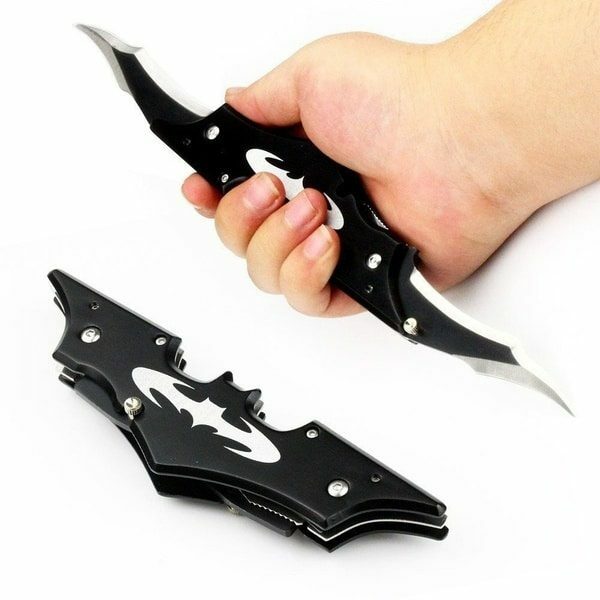 This Batman pocket knife twin blade batarang is the perfect gift for anyone who appreciates all things Batman and enjoys presents that pack a punch. 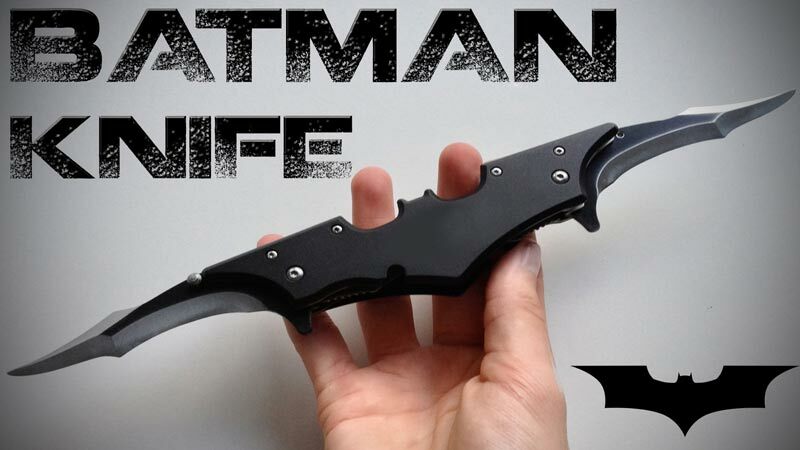 If you or someone you know is a huge fan of superheroes, especially Batman of Gotham, then chances are that you are in the market for some excellent superhero-related merchandise and this is one of those must-own bat stuff! 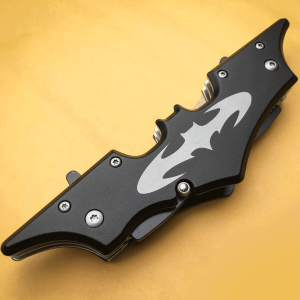 The Batman pocket knife twin blade batarang is designed in the iconic Batman logo shape, and at first glance, you might not realize that it is an actual weapon. Be careful of its sharp stainless steel blades, however! Extend the twin blades from either side and show the bad guys you mean business with this sturdy and fully functional knife. Two blades for twice the cutting power. Both blades are assist-open and feature liner locks. Blades are stainless steel. Each blade has three inches of cutting edge. Pocket clip for easy carry. Measures 11-1/4″ with both blades open; 8-1/2″ with one blade open; 5-3/4″ closed.